elina PMS are simply about making growth easier for hotels and accommodation providers. elina PMS, the property management software is owned by Vestibule Marketing Ltd. They are proudly serving hotels, serviced apartments and vacation rentals around the world. What they provide is software solutions, digital marketing and websites, in order for their customers to increase their direct bookings and making operations simpler for them. elina believe in helping hotels and accommodation providers to be better at marketing and innovation. The purpose they follow is making growth easier through their marketing powered property management system, in order to make life easier for hotels and accommodation providers. 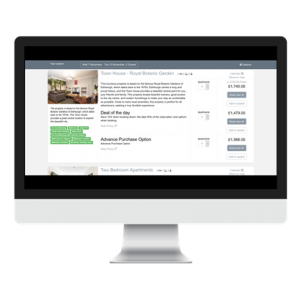 The integration between elina and ResDiary allows guests to make reservations directly through elina PMS booking engine. It’s super simple: whilst guests are booking a hotel room, they can choose their room and rate, alongside their preferred day and time for a table in the restaurant. Then they can verify that their selections are correct, enter their personal details, and confirm. It’s as simple as that.